According to a report from TechCrunch published earlier this year, the education technology sector is booming. During 10 months of 2017, the industry brought in investments worth $8.15 billion, focused on technologies such as platforms to teach students enrolled in ESL (English Second Language) courses with video lessons, platforms that allow students to submit homework digitally, and innovations in collaborative learning. But these aren’t the only technological developments that could greatly benefit educational institutions and the many people that they teach. 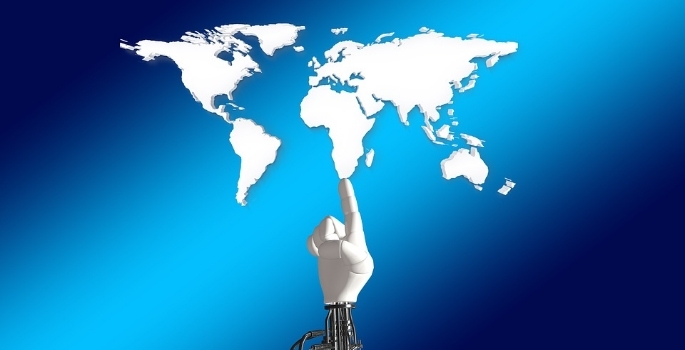 RPA tools (robotic process automation) in which processes are automated using AI and machine learning, could also have a huge impact on education as we know it. One step that educational institutions can take when managing their RPA tools is to regularly review which processes they can automate and how they can benefit from the technology. Some typical uses of robotic process automation include replying to and gathering information from emails, processing transactions, working with data sets, and communicating with other digital systems. Universities and colleges complete these tasks on a daily basis, including processing student funding applications (and payments of tuition) and responding to queries about classes and schedules and the systems used to handle all of these are ever shifting and changing. RPA tools can aid institutions when completing these tasks but it’s important to regularly review these processes in order to get the most out of them. Another key way of managing your RPA tools is to ensure that employees are properly educated on the benefits of RPA tools. Educational institutions are best at teaching, after all, and that extends to the tools that you use to be a more efficient group of people. If people aren’t fully aware of the benefits of robotic process automation (e.g. how it frees up time and makes teams more organized) then they won’t adopt it fully and so will not be able to reap the full rewards. To effectively train employees, it is recommended that you allow employees to learn at their own pace as not to force them to rush through topics, which may jeopardize their understanding of the technology. Employees also enjoy both hands-on and online learning so finding a way to blend the two may be a good way of getting them on board too. Finally, a key point that compliments the other two points rather nicely is to use committed leaders. When you have a leader who understands and supports the concept of robotic process automation, they will be able to communicate that to the rest of the team (making point #2 easy) as well as other teams. An invested leader will be able to better guide the team on how best to implement the technology and throughout transitional periods. They will also be important when it comes to getting other teams to use the technology so that they can benefit too. Robotic process automation can prove incredibly useful to educational institutions of all types, from colleges and universities to those that provide student support in other ways. But taking full advantage of the technology requires an open-mind and a willingness to learn; do they offer degrees in that field? Capturing evidence of pupils’ progress: How have things changed in today’s schools?